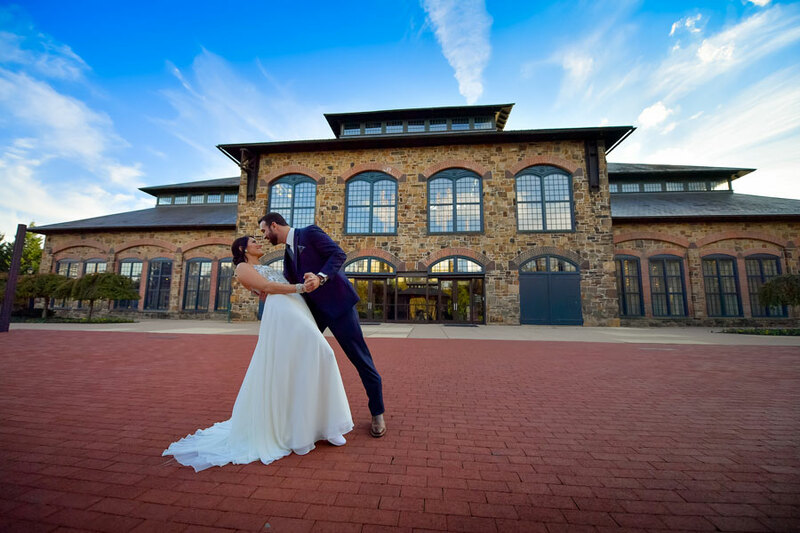 The Phoenixville Foundry is a couple’s haven filled with rich history and dressed in new age industrial design. The facility and unique structures that surround the property alone are worth capturing on camera. And wait until you see the glamorous inside. 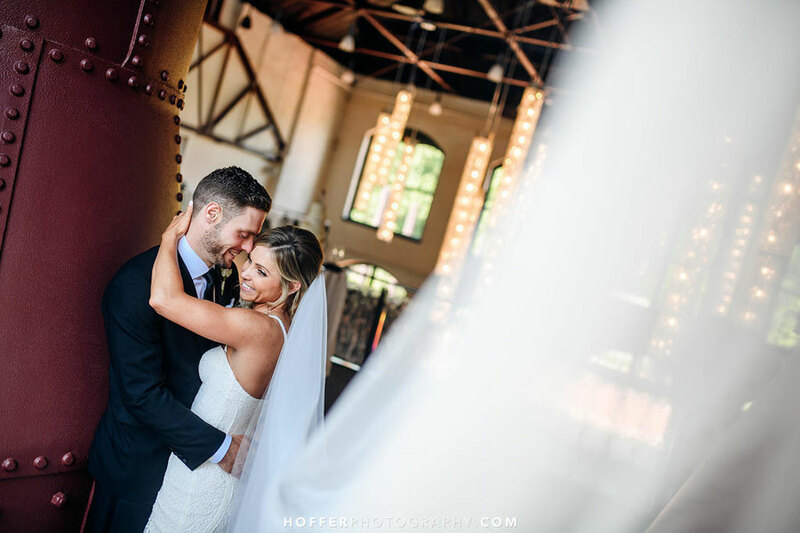 Not only can you have your ceremony and reception here, but you don’t even have to venture off-site for gorgeous wedding photos. Talk about convenience on your wedding day! 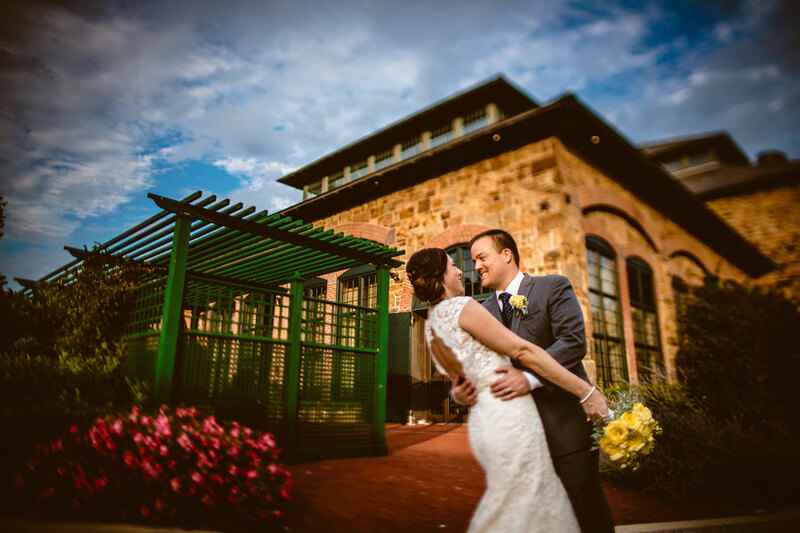 This iron wrought nook, skillfully crafted by the historic Phoenix Iron & Steel Company, is one of the Foundry’s most dramatic places to capture moments of love. 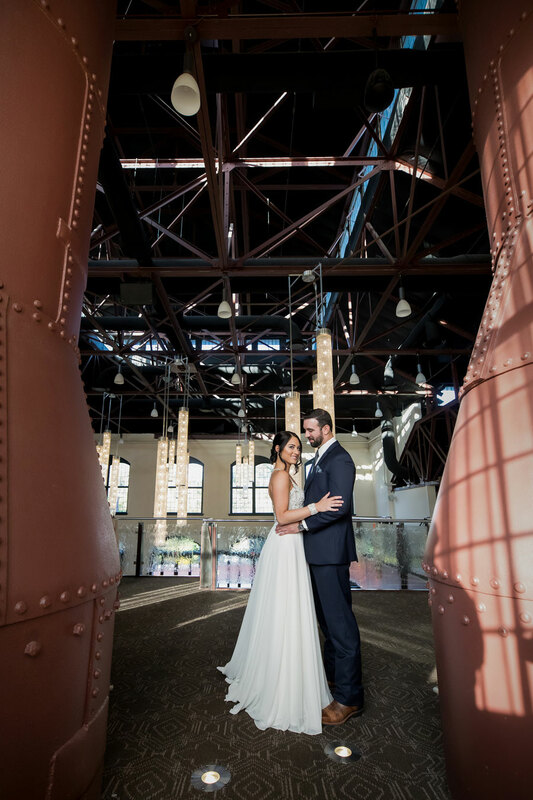 Stand with your partner in a spot surrounded by towering columns, which exemplify industry throughout time. At night, you will often find the garden ablaze with crackling light from the fire pits. It’s the perfect photo opportunity and a place where you and your wedding guests can enjoy a marshmallow or two and relax. 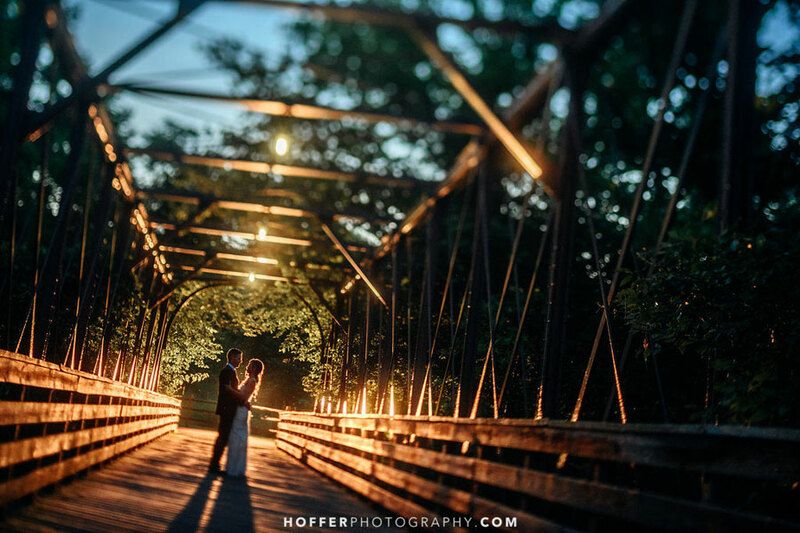 Couples love the Truss Bridge for its splendor and that it stands as a symbol of Chester County’s iron renaissance. The beauty about this structure is that it looks different in every picture—from the shadows to the color of the surrounding trees. 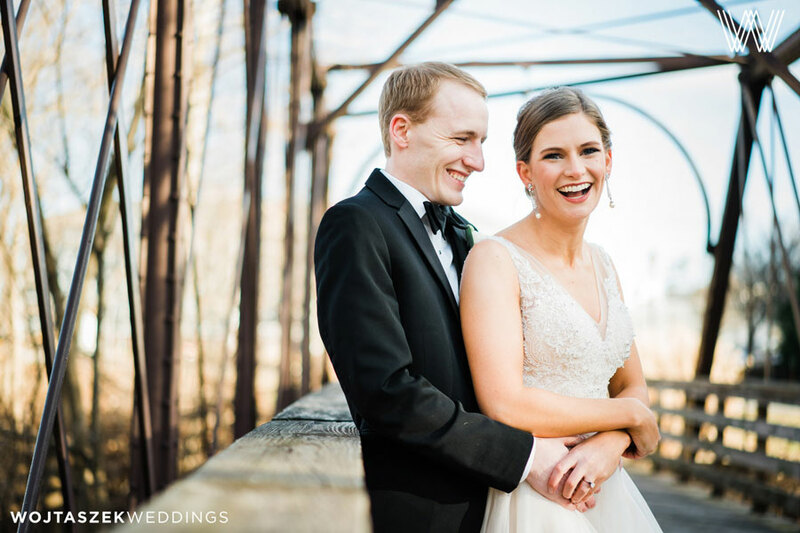 Photographers have captured everything from couples gazing into each other’s eyes to entire wedding parties in mid air—during every season and various hours of the day. And the way the structure reflects sunlight or glistens in the snow is nothing short of brilliant to witness. 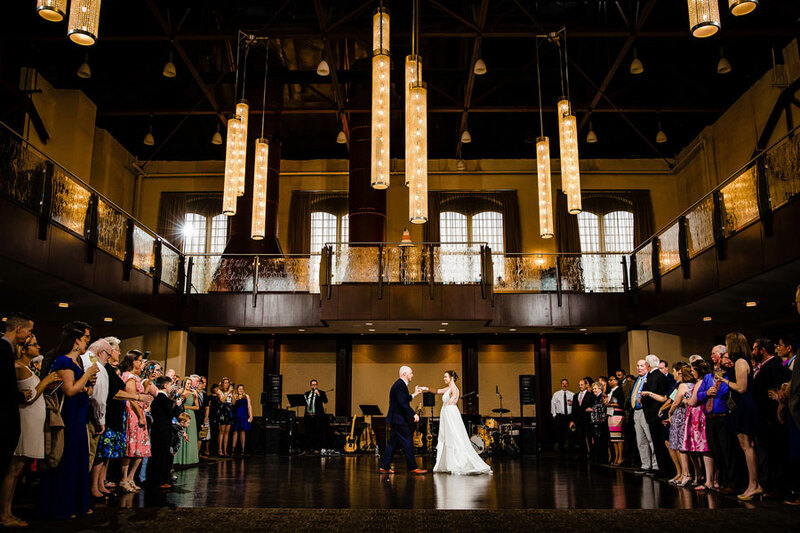 These elegant lights, which dangle from a 60-foot-high open ceiling, are one of the Foundry’s most cherished features. This spot serves as a focal point of the facility, overlooking a gorgeous staircase and grand foyer and playing with the natural light pouring through the Foundry’s clerestory windows. 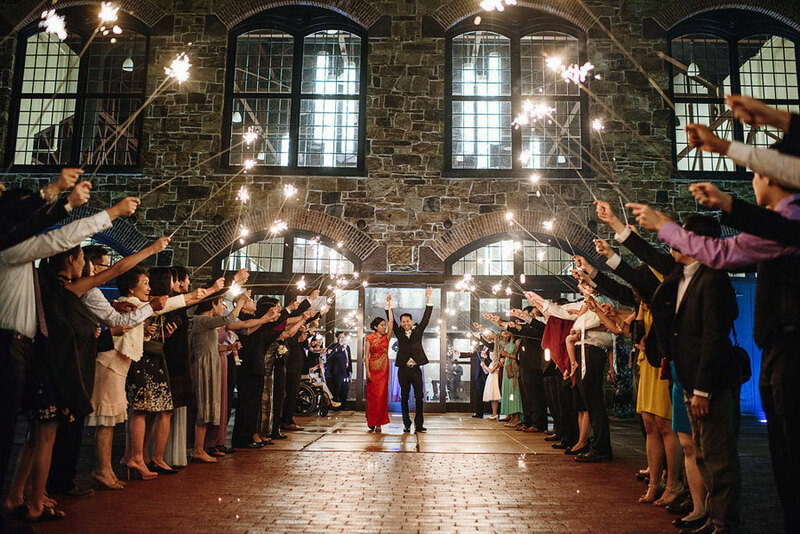 Photos anywhere near these sparkling beauties are sure to be stunning. These iron giants add that industrial touch the Foundry is known for. And according to the wedding experts, industrial spaces are in! Have a drink or two with a few family members, or sneak away for a private moment with your new partner in marriage. The uplighting features of this area really bring out the shadowing and texture of the glowing pair of stacks. 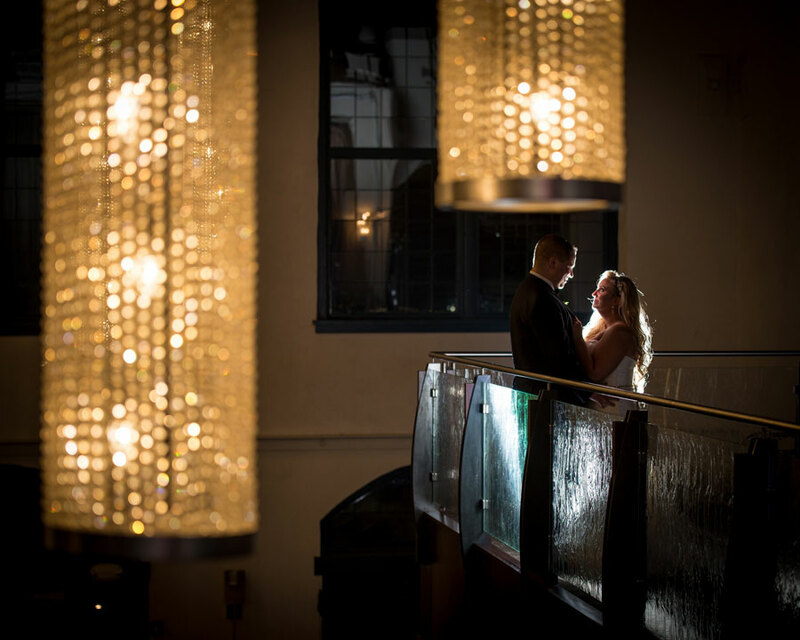 The mezzanine level is a photo-worthy spot for mingling and cocktails, a toast or a kiss. The Foundry is a revitalizing presence in the Chester County community, which is why it’s such an excellent place to ceremoniously begin any family. The architecture alone is enough to excite photographers near and far, who enjoy capturing a property that made the National Register in 1987 as a contributing structure in the Phoenixville Historic District. Couples stand in awe of its majestic presence. The Foundry, with its lush gardens, industrial elegance and welcoming walkways, is worth capturing from all angles. 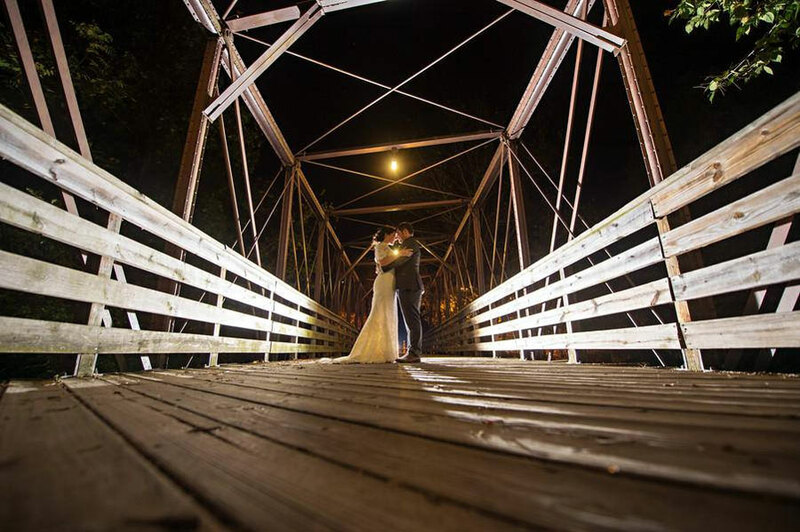 Couples adore making memories at the Phoenixville Foundry, but not just for the photo opportunities. 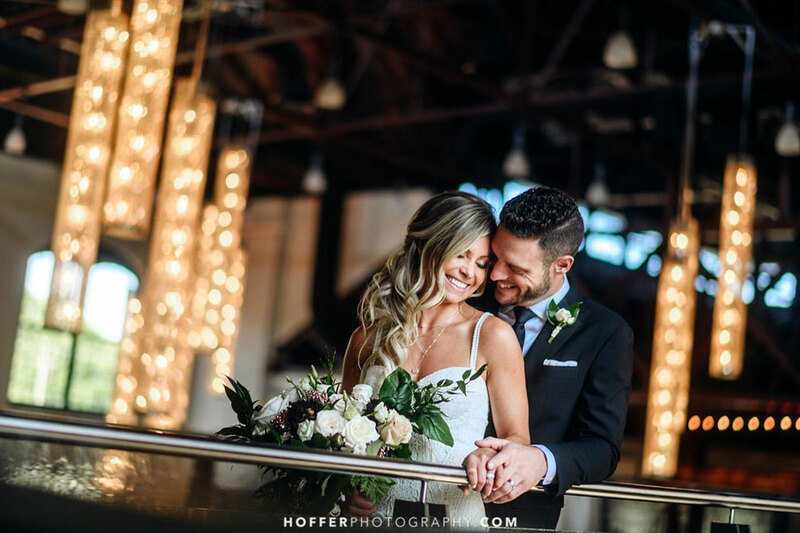 A venue of this caliber attracts highly professional vendor partners and planners that fill every room with elegant setups, detailed décor, decadent displays of food and phenomenal entertainment. 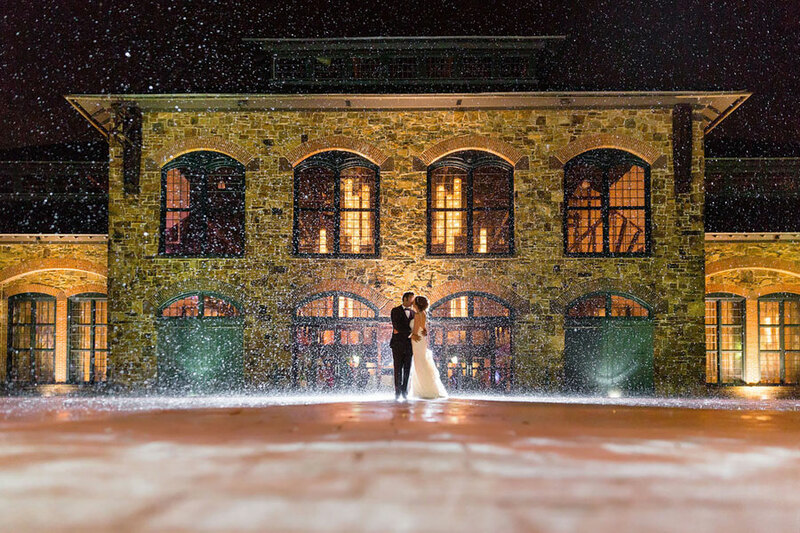 We invite you to experience what it’s like to marry the love of your life here. 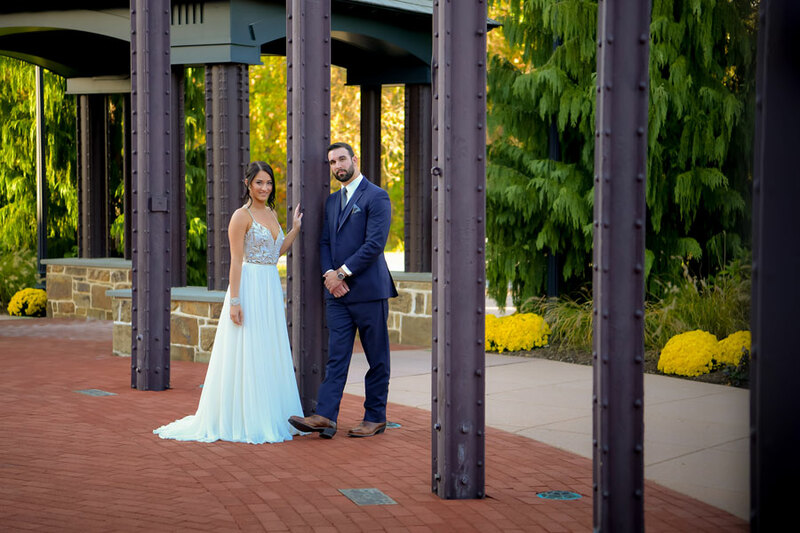 For more details about the property or information about how we can help plan your picturesque day here at the Foundry, contact us online or give us a call at (610) 917-8400.